BEWARE. Real witches dress in ordinary clothes and look like ordinary women. But they are not ordinary. They are always plotting and scheming with murderous, bloodthirsty thoughts - and they hate children. 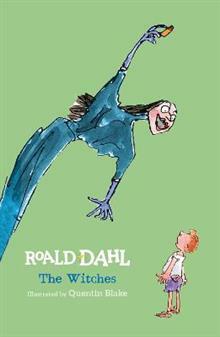 The Grand High Witch hates children most of all and plans to make every si... read full description below. BEWARE. Real witches dress in ordinary clothes and look like ordinary women. But they are not ordinary. They are always plotting and scheming with murderous, bloodthirsty thoughts - and they hate children. The Grand High Witch hates children most of all and plans to make every single one of YOU disappear. Only one boy and his grandmother can stop her, but if their plan fails the Grand High Witch will frizzle them like fritters, and then what ...?